It was a beautiful morning and a perfect day to be out at sea. 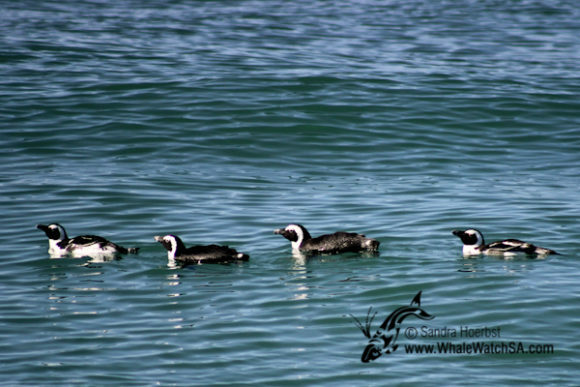 Just after leaving the harbour we spotted endangered African penguins. 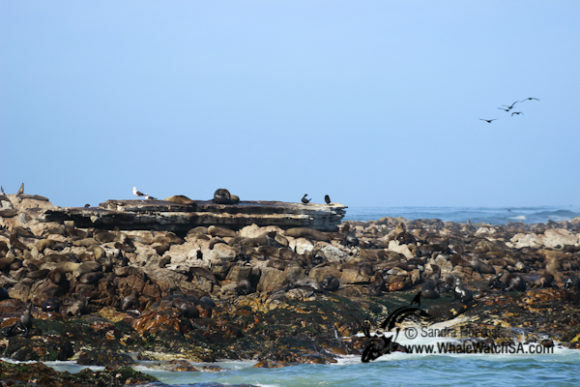 Shortly after that we slowly cruised along the coast towards the shark cage diving vessels. 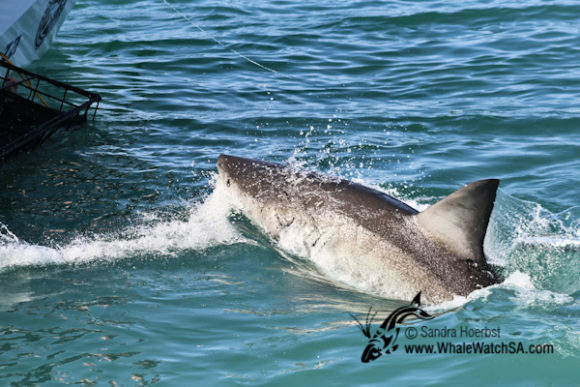 However, before seeing some amazing shark activity we encountered three Humpback dolphins. 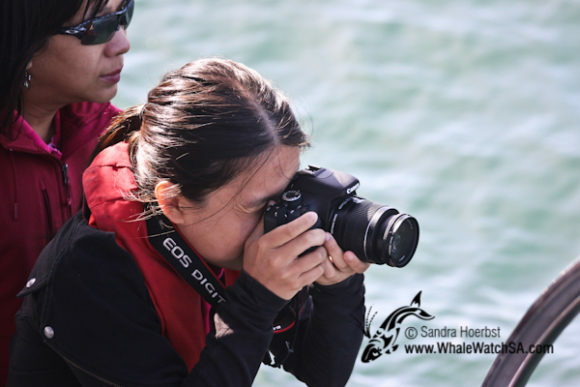 We saw a mother and her calf as well as a single dolphin swimming very close to shore. 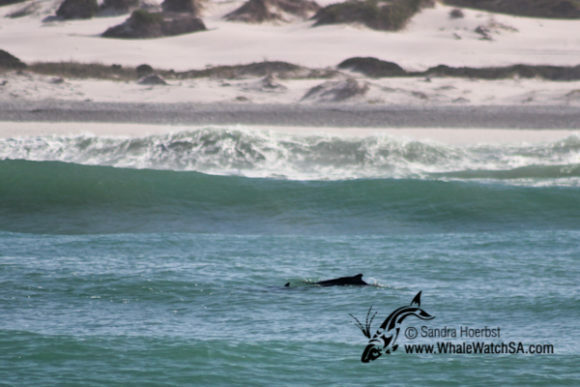 The Indian Ocean Humpback dolphins are known to be found in coastal and shallow waters. 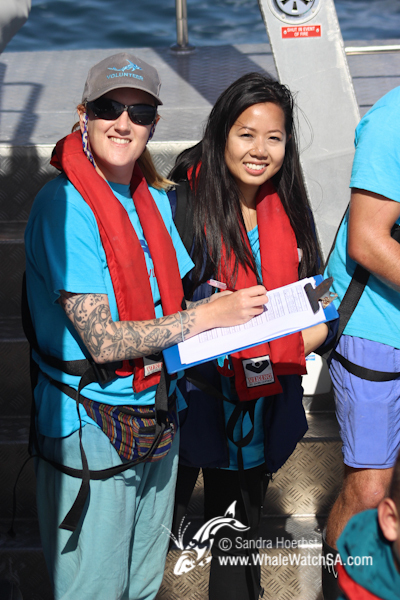 During our Marine Big 5 eco tour we also collect data for our research. 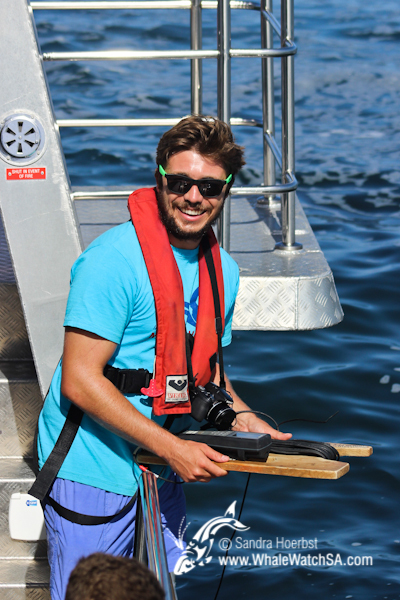 Today some of the International Marine Volunteers were responsible for the data capturing, some of the data we collect includes water temperature and oxygen levels in the water column. 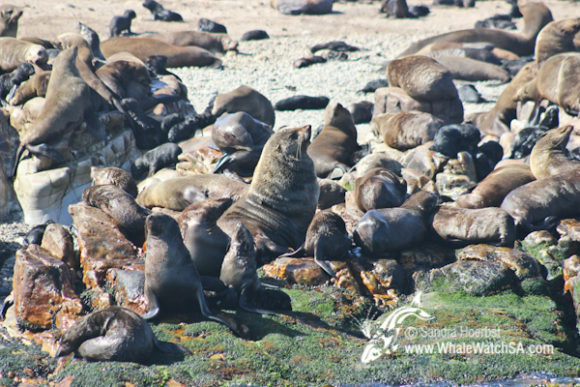 Although the breeding season for the Cape Fur seals is nearly over, we still spotted some big bulls with harems of females around them.